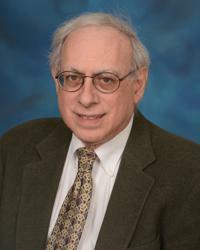 Paul S. Fishman, MD, PhD is a professor of neurology, pharmacology and neurobiology at the University of Maryland School of Medicine and Chief of Neurology for the VA Maryland Health Care System. He received a doctorate in neurobiology from Yale University, a medical degree from Johns Hopkins, and trained in neurology and cell biology at Columbia-Presbyterian Medical Center. His clinical and research interests include new therapeutics for Parkinson’s Disease, Alzheimer’s disease and related neurodegenerative diseases, and he has authored over 100 publications. He established the program for neurotoxin treatment of movement disorders, is the co-founder of the Deep Brain Stimulation program and founded the Alzheimer’s Program at the University of Maryland Medical Center. His recent clinical and basic research involves the therapeutic use of focused ultrasound (FUS) in the brain. He a member of the FUS Center of Excellence at Maryland and is the Neurology arm of the team instrumental to the first FDA approval of this technology in the brain for treatment of essential tremor. Current studies with patients with Parkinson’s disease explore this technology as a less invasive alternative to DBS. His basic research utilizes this technology to open the blood-brain barrier for delivery of cellular and molecular therapeutics for neurodegenerative disease. He is listed in Best Doctors in America, is former Chair of the Parkinson’s Disease review group for VA Biomedical Research, past Chair of the University of Maryland IRB for supervision of human research and is co-founder of the Medical-Scientific Board of the Alzheimer’s Association of Greater Maryland.